We in this case being a global we. What are we failing at? We're failing at ensuring the translation of evidence-based nutrition into easy to understand public education. We've allowed Big Food to come into our schools, consultations, dietetic organizations, influence national dietary recommendations and in general use their considerable clout to keep consumers confused to the point of paralysis regarding what's healthy and what's not. So why am I ranting today? 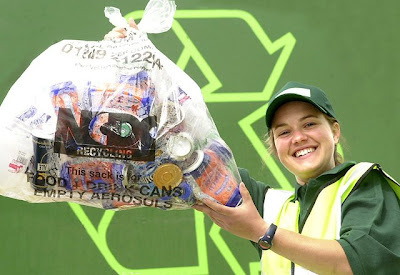 According to a survey conducted by the international market research firm Mintel, British consumers felt that a food package's "recycling credentials" were more important to them than salt content, sugar content or Calorie content. Probably because the average consumer doesn't have a clue how much salt, sugar or Calories they should be consuming and therefore those values on packages are effectively meaningless, whereas recycling information is consumable. Unfortunately to date, governments, dietetic organizations, and of course Big Food, have been loathe to provide folks with consumption maximums. Instead they've been content to rely on fluffy, wishy-washy statements like, "there are no bad foods", or downright stupid statements like our Food Guide's, "Eat the recommended amount and type of food each day." How about statements like, "Try not to eat more Calories than you burn" along with a calculator to help you figure out how many that might be, or, "aim for less than 2,000mg of sodium daily", or "aim for less than 50g of sugar daily"
Until we actually educate folks how to interpret a food label with actual recommended maximums, we're really not going to get anywhere. I suppose one good thing will come of it all and that is apparently our food packages, and hopefully our effectively useless Food Guide, will at the very least end up in their appropriate recycling bins.